What is Red Flag Fatigue? With so much media attention focused on new digital delivery technology, PSA sponsors and creators would do well to circle back to a fundamental PSA truism that has been glossed over—yet, is more vital than ever. The importance of wrapping a PSA message in an accessible, relevant and compelling concept remains the difference between a PSA that will get placed, noticed and absorbed—and a PSA that languishes invisibly in the basement of YouTube purgatory. Consider what PSAs are for: Imparting helpful advice to the public that will make people safer or healthier. Now consider the PSA warnings people encounter every day about the air we breath, the foods we eat, the water and beverages we drink, the habits we should kick, the diseases we might contract. It seems there are risks at stake with just about everything we do. Or don’t do enough of. The result is a symptom we call Red Flag Fatigue—the mindset that prevails when we’re warned about most everything that makes up our daily routines. PSAs that assume it’s enough to simply identify potential threats play into Red Flag Fatigue. It’s not enough to just tell people what’s bad for them, even if it’s true. So many warnings make us numb, and PSAs that scold or simply identify behavior that we should change are too easily ignored. 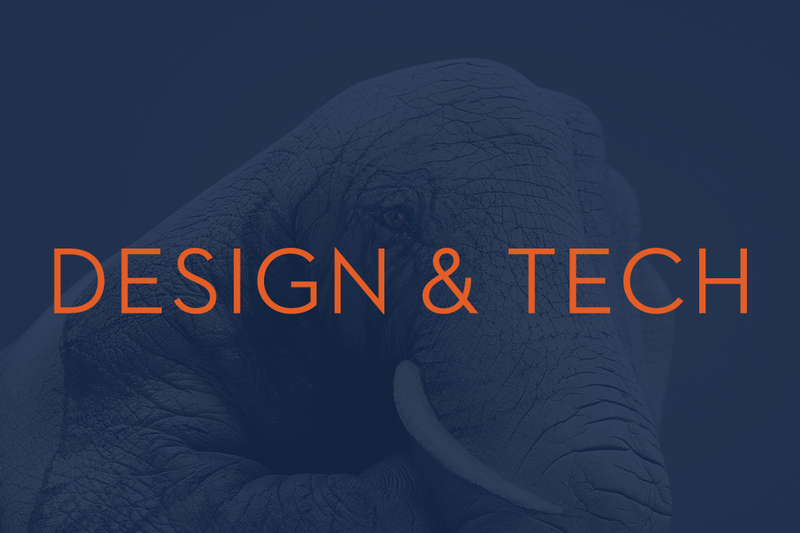 So check out our round up of inspired advertising below and give us your thoughts. Which messages resonate with you? This touching advertisement from Ogilvy for Dove strives to redefine personal perceptions of real beauty. It illustrates how quick we are to point out flaws in our own appearance while reminding us how these “flaws” are ultimately what make us unique and beautiful. 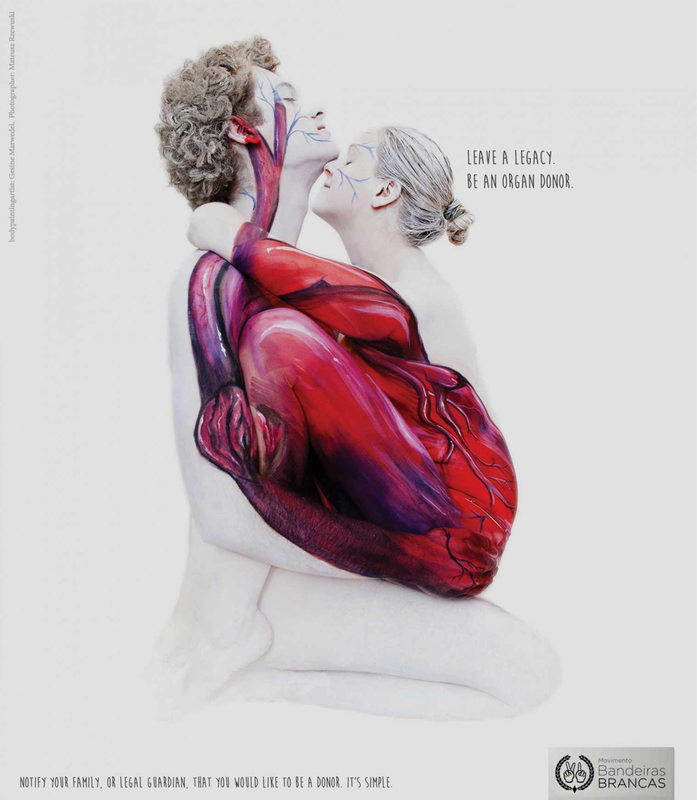 This visually intriguing ad uses (ahem) “loving bodies” to represent how close and connected to another person you can get by donating an organ. This innovative installation in London’s financial district for World Water Day 2014 allowed passers-by to tweet in their name and have it displayed as written water in a custom, cascading fountain. The only way to test if it is quicker for a man to get a raise than a woman, is to become one. One woman gets a raise in 47 seconds by being disguised as a man. This spot follows a women’s point of view throughout the day using Google’s new wearable technology. Don’t miss the shocking reveal at the end. 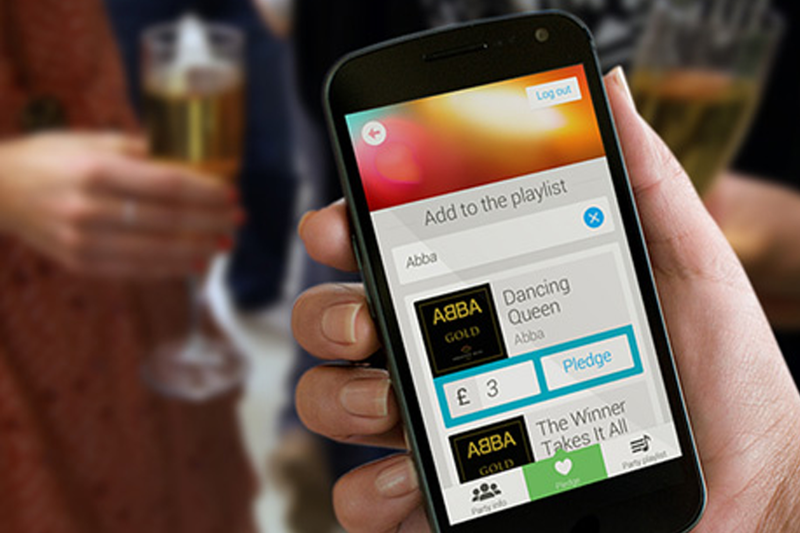 Guilty Pledgers, a Spotify app, provides an innovative way to run fundraisers. Pledgers start a party, pick a charity to donate, and then invite friends to the party. Funds are raised by guests’ pledging money to add songs to the party’s playlist. This innovative out of home advertisement utilizes lenticular printing to show two separate messages combating child abuse. One message is targeted toward adults and the other is at a height level that only a child would be able to read. Everybody loves puppies. So what would happen if one died due to testing makeup? 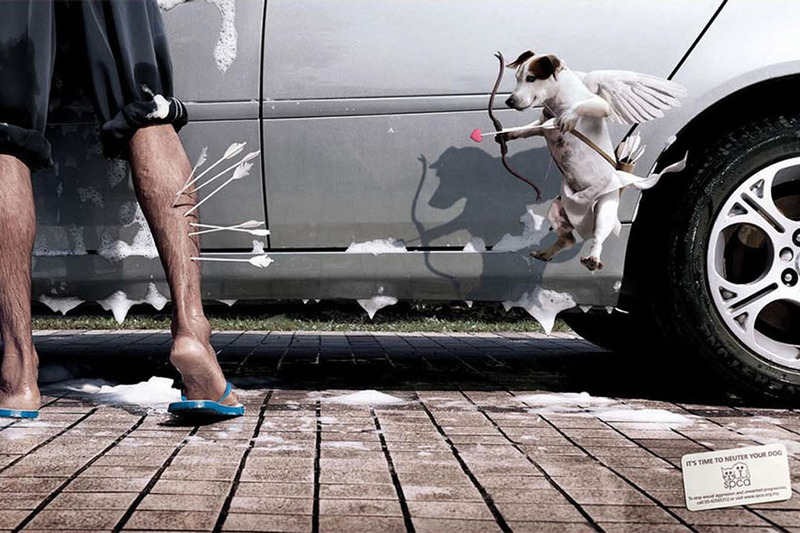 This advertisement explores that notion in a visually compelling way. 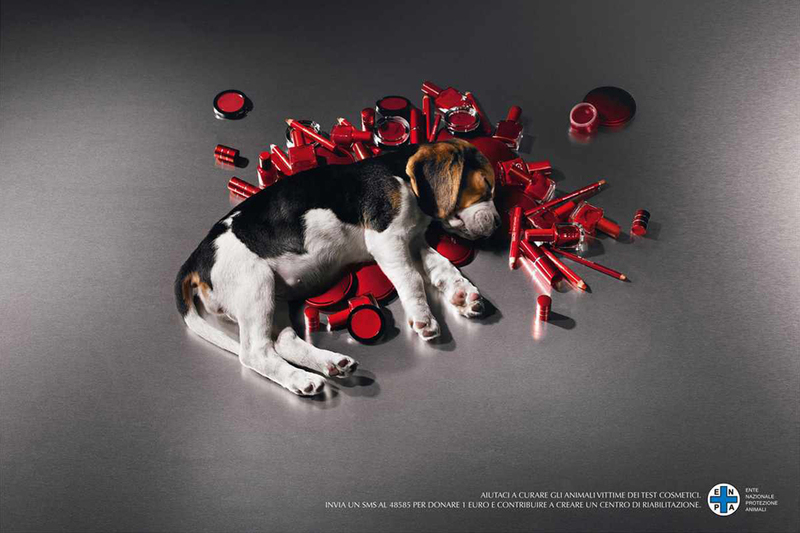 Text reads: Help us cure the victims of cosmetic tests. Send an sms to 48585 to give 1 euro and contribute to creating a rehab center. 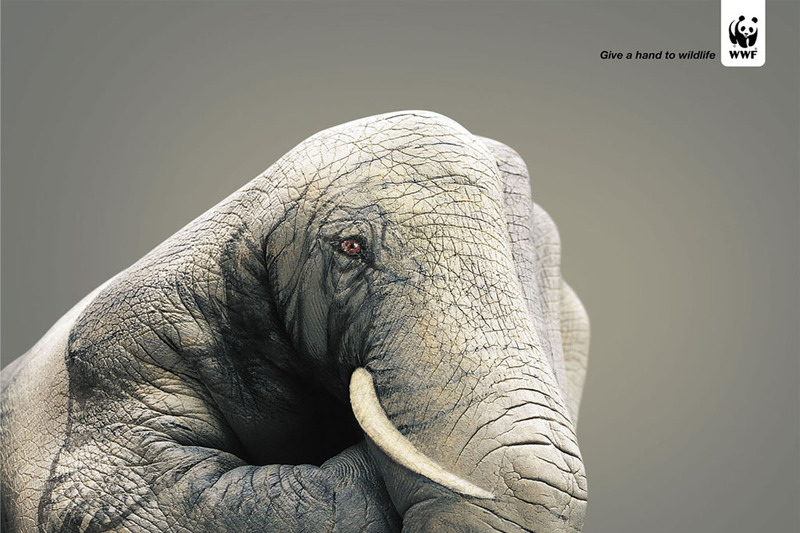 Giving a hand to wildlife incorporates body painting for a striking execution. This approach to the issue of having your dog neutered is cute, comical, and “spot on”.